What Is a Broken Link in SEO? If you’ve spent any amount of time attempting to rank a webpage in the search results, you know the value of a link. Links are like currency for SEO. Inbound backlinks, links out to other sites, links to on-page content within your own site, – all of these can have substantial sway on your SEO. Most digital marketers focus their efforts on obtaining backlinks to their site. While inbound links are valuable, they’re not things you should consider when it comes to your site’s link strategy. Broken links in SEO can be an unseen cause for low rankings. So, what is a broken link in SEO? A broken link is any link that directs to your website but takes the user to a page that doesn't exist. Imagine a Googler finds the perfect link for a search query nestled on the first page of the results. It seems to be just what the searcher is looking for, and luckily, it’s a link to your page. The searcher clicks on the link to go to your page, only to be disappointed by a 404 Not Found error. Each time a broken link like the one above is encountered, you’ve done much more than disappoint a user. Ensuring that all types of links directing traffic to your page are in working order should be a part of any SEO link strategy. It's not quite enough to simply understand what broken links are. Broken links on a website can be detrimental to your SEO and to your site’s user experience. You'll need to identify the bad links, understand the reasons for them, and take action to correct the error. Linking to videos, infographics, pictures, and other content that has since been removed. Linking to outside content that has since been removed, renamed, or otherwise changed. Spelling or other errors in the text of the link. Linking to sites that are no longer online. Editing the name or moving the location of a page but not editing the link to reflect this change. Regardless of why you have broken links on your site, you need to take the proper steps to eliminating them before they do untold damage to your SEO efforts. Why Do Broken Links Negatively Affect SEO? Google is all about providing the most useful information for users when they perform a search. A large part of achieving this goal is linked to user experience. If a user performs a Google search only to follow a broken link, his or her experience takes a big hit. Poor user experience due to broken links can also cause an increase in your site’s bounce rate, as users will immediately navigate away from your page once they encounter a bad link. In addition to the lowered user experience, broken links result in crawl errors with the search bots, which can prevent your page from showing in the search results. If the search bots come across multiple broken links to your site, they will likely stop crawling your site altogether. If the bots aren't crawling your site, then your pages and their content won't be indexed. Before you begin fixing broken inbound and outbound links, you need to locate and identify any problems. Checking for links manually might be an option if your site is smaller and has few onsite and inbound links. Create a spreadsheet for broken links to keep track of any issues and record when they’re fixed or removed. Manual link checks aren’t viable for larger sites. 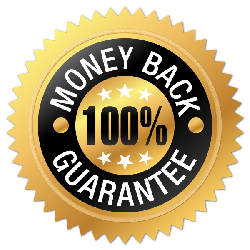 You’ll need to utilize an automated backlink checker, like the Scanbacklinks.com link checker. This tool can identify any broken links directing traffic to your site. The automated link checking tool makes light work of identifying any broken links and provides you with a report with guided tips on how to fix the underlying issue. Once you've identified any issues, you can focus on how to fix a broken link. Once you’ve identified your broken links and compiled them into a spreadsheet, you’ll need to get to work repairing and removing the troubled links. Understanding how to fix broken links starts with understanding the root of the problem. There are a few things you should consider when assessing broken outbound links on your spreadsheet. As you comb through each link, consider possible reasons for the issue. Does the linked content need the link to begin with? Does the page provide value or content on its own in the absence of any link? If so, consider removing the unnecessary link altogether. If you decide the link is needed, take a look at the anchor text. You can use this information to help you identify what used to be at the end of the dead link. Look around the linked site to see if the content has a new home on the site, and edit the link to reflect this change. If you can't find the exact content, look for newer posts or content that can stand in place of the removed content. If you're finding that you have issues with inbound links or 404 errors, you likely have moved or deleted content on your site and forgotten to edit the corresponding link. You can prevent these broken links from occurring in the first place by refreshing your content as opposed to deleting it from your page. This can help keep your 404 errors to a minimum and be extra motivation to continuously update your content. You can also utilize redirects for content that has been relocated on your site but is still live. Using 301 redirects will get your visitors safely to the content while maintaining any SEO goodwill that you gained from the older page. These redirects also help avoid any duplicate content issues that might arise and negatively affect your SEO. If you think your site is experiencing 404 errors due to URL errors from external sites, reach out to the webmasters of those sites. You can notify them of the error in their backlink that's creating the issue so that they can ensure the correct URL is showing. Broken links plague many sites but rarely get the attention they deserve. It might not be the most glamorous part of SEO, but these dead links can be the cause of many of your search engine woes. Implementing routine checks and fixing broken links will improve your site's SEO, boost user experience, and ensure your content is found by those searching for it. If you have something to share on the topic, please, don't hesitate to start the discussion in the comments. P.s. Don't forget to recommend the article to your friends using the social media buttons to spread the word about this useful information.